2016 years after death and... Wait, whose death was it again? Ah well it's not important Anyway it's a new year and we have a lot to look forward to, and to look at! 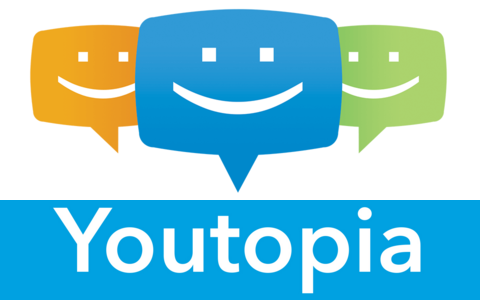 Yep, that's right, Youtopia has undergone changes again! Before we get into that though I shall explain why I have not been on my PS4 lately. - Youtopia has just doubled in size! Every single page in Youtopia, both old and new (but not the guides), have gotten a page for different screen resolutions! The large pages, which are the default pages, go by a 1920 x 1080 screen resolution whereas the small pages go by a 1280 x 800 screen resolution. This should fit on just about everyone's computer screens! To switch between the 2 simply follow the link in the ticker's very first message! - Youtopia now has a Gallery for submitted screenshots from The Elder Scrolls Online: Tamriel Unlimited! We also accept submissions for things like artwork too but for now it only has a section for screenshots. More sections will be made when new kinds of submissions (like artwork) are provided. This is optional and entirely for those that want to publicly display this kind of stuff and your identity and details of your submission may be displayed or not depending on your preference. - Due to the increase in pages with the resolution-based pages Youtopia now has at least 100 active pages! This means a lot of work for me maintaining them and due to this I've decided to no longer update the ticker with News and Events announcements. You all understand right? Anyway just keep an eye on the News page to know what's up and Event notifications will be posted in the Message of the Day in-game in PWN's Guild Menu since the Events we hosted will usually be game-related anyway and big events will still have details posted on the Events Forum which the main site has a navigational button for a shortcut to. Well I suppose that's about it for now. As always, anything new will be brought to your attention via the News Page and/or this Forum when it comes by me or anyone else at Youtopia so let's have ourselves another year of some sort together!